KIEV, Ukraine -- The World Cup and Summer Olympics aside, the world's biggest sporting event is the European Football Championship, a tournament held every four years in a different venue, in which 16 finalists compete for a trophy won most recently by Spain in 2008. The hosts for the 2012 event are Poland and Ukraine. However, Ukraine has been given a two-month deadline to complete its preparations, following a visit of Michel Platini, president of the Union of European Football Associations (UEFA), to the country last week. Winning the right to host the tournament was a major coup by Poland and Ukraine, which defeated rival bids from Italy and Croatia-Hungary in April 2007. In the first round of voting for the 2012 location, Italy was ahead, but in the second round, the Poland-Ukraine bid received more than double the votes cast for the Italians, while the Hungary-Croatia bid received zero votes. According to the schedule, preliminary rounds will be held in four Polish and four Ukrainian cities (Warsaw, Gdansk, Wroclaw, and Poznan; Kiev, L'viv, Kharkiv and Donetsk). Warsaw will host a quarter and semifinals match, while Kiev will have six matches, including a quarter-final and semifinal, as well as the final on July 1, 2012. From Ukraine's perspective, Euro 2012 will boost the economy and provide an opportunity for the country to showcase its attractions. For UEFA, it spotlights central and eastern countries that do not possess the sort of rich home soccer clubs found in Western Europe, but where soccer (football to all Europeans) is the main spectator sport. In 2006, Ukraine reached the quarter-finals of the World Cup, a remarkable achievement, although it failed to qualify for the 2010 finals in South Africa. Internally, the sport is dominated by a few businessmen. Ukraine's representative at UEFA is Hryhoriy Surkis, who has been president of the Football Federation of Ukraine for three terms. A few years ago he was denied a visa to enter the United States, reportedly because of accusations of corrupt practices. Surkis' brother Ihor is Chairman of Dynamo Kiev, one of Ukraine's biggest and most successful teams. The other is Shakhtar Donetsk, which won the UEFA Cup in 2009 and is owned by Rinat Akhmetov, Ukraine's richest man and one of the chief backers of Viktor Yanukovych's presidential election campaign. Shakhtar's recent success has mirrored the rise of Donetsk as a key region of Ukraine. The team is made up partly of non-native players, most notably Brazilians who comprise seven of the 27-member squad. Donetsk hosted the World Cup playoff game between Ukraine and Greece last November, but few locals could afford the exorbitant admission price set by the Football Federation of Ukraine. The result, as Akhmetov complained bitterly, was a half-empty stadium for a match that had the potential to sell out many times over. That situation reflects the dual problem for Ukraine as a UEFA host--the economic recession and its impact on employment and salaries; and Surkis' desire to reap profits rather than provide cheaper seats. Platini visited the four designated cities of L'viv, Kiev, Donetsk and Kharkiv, and met with new Ukrainian president, Viktor Yanukovych. He noted problems in Kiev, where construction of the new Olympic Stadium is weeks behind schedule, and L'viv, where work on the Lemberg Stadium has stopped altogether. In Donetsk, there is a suitable stadium but few hotels. Of the four cities, only Kharkiv appears to be making sufficient progress. Earlier, as Ukraine fell behind schedule, UEFA threatened to find another co-host. However, Platini remains committed to Ukraine, though he has threatened that if the infrastructure is not completed, all the Ukrainian games will be held in Kiev. None of the stadiums other than Kiev, which holds 63,000, is adequate for the final, which has a prospective television audience of 100 million TV viewers, rivalled only by the Super Bowl. Ukraine has appointed a government minister expressly to prepare for Euro 2012. Borys Kolesnikov has pledged government investment of 26 billion hryvnya ($3.3 billion US) from the 2010 state budget to improve roads, airports, and complete the building of stadiums. This is a massive task given the economy's 6.8-per-cent contraction in the fourth quarter of 2009 and Ukraine's self-imposed goal of reducing the budget deficit to six per cent of GDP. Much depends on the receipt of the remaining $5.8 billion from the International Monetary Fund, part of an original $16.4 billion loan. Ukraine's situation is comparable to that of Russia, which prepares for the Winter Olympics in Sochi (2014) and both countries face similar problems. In September 2010, 51 countries commence the qualifying rounds of the competition (Poland and Ukraine automatically qualify as host countries). Competition is intense -- in future tournaments 24 teams will reach the finals, a reflection of UEFA's willingness to include such countries as Kazakhstan and Israel within a greater Europe. Yanukovych cannot afford failure given the international media's focus on this competition. Preparation for Euro 2012 is the first major test of his administration and one with potentially significant rewards. In 2005, Kiev hosted the Eurovision Song Contest, offering lowbrow glitterati a chance to strut to synthesized pop music. 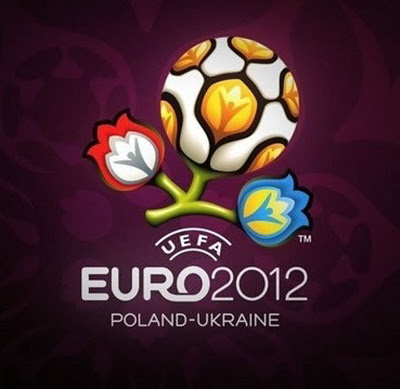 Euro 2012 is a more serious endeavour that will highlight the world's most-popular sport over a three-week period. The opportunity cannot be forfeited.